Pakistan has witnessed a surge in attacks against its Shi’a and Hazara communities, making it one of the world’s most dangerous countries for religious minorities, according to this report by MRG. 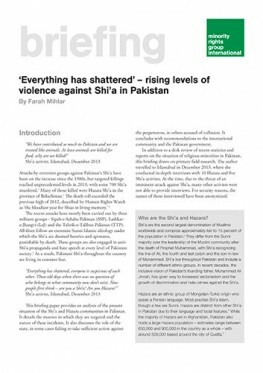 Based on interviews with minority rights activists, MRG’s nine-page briefing paper, ‘Everything has shattered’ – rising levels of violence against Shi’a in Pakistan, details the disturbing level and nature of violence against Shi’a Muslims, including the ethnically distinct Hazara, at the hands of Sunni militant groups in Pakistan. Last year was the bloodiest in living memory for the country’s Shi’a, with some 700 murdered in targeted attacks and over 1,000 injured. 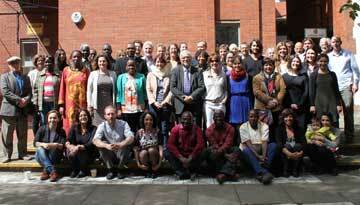 It represents a significant increase from the previous year.